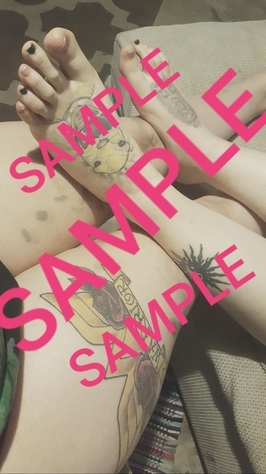 I'm offering digital pictures and possibly videos of my feet to anyone interested, in exchange for payment through PayPal. (preferably PayPal, but if you'd prefer another option I'm flexible as long as its legit) I will send everything to you via E-Mail. I also have quite strong calves, if you're interested in that as well. Personal requests will absolutely be taken. Both of my feet have tattoos covering a generous portion of the tops.